Xmen Evolution TVposter. . HD Wallpaper and background images in the X-Men ファン Fiction club tagged: marvel wolverine xmen sabretooth nightcrawler. 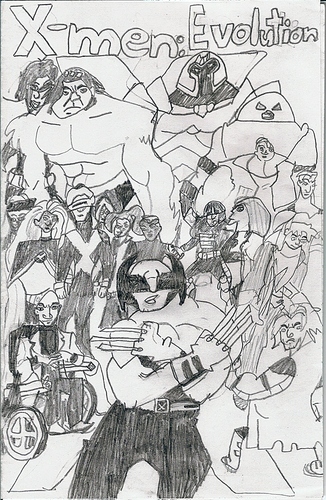 This X-Men ファン Fiction photo contains アニメ, 漫画, マンガ, and コミック. This is cool... did you do it? I like it.